A Graduate candidate can apply for Asstt. Master Job in Assam 2017. 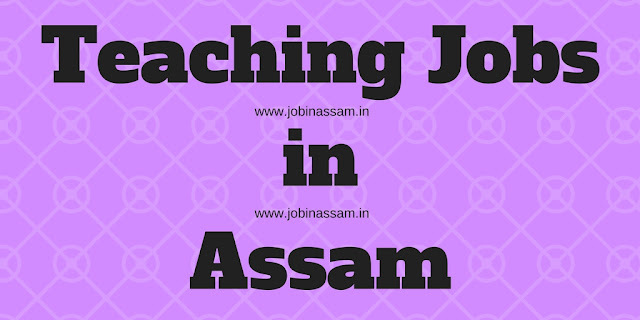 This vacancy is advertised by Goalpara Sainik School Recruitment for various posts under Teacher recruitment for eligible and interested candidates. If you are interested in teaching Job then apply on or before 11/09/2017. Please read this article till the end to know the details eligibility criteria, application process and selection process for the Goalpara Sainik School job. Rs. Rs 9300-34800 with GP 4600/- (PB-2) along with other admissible allowances with Rent free accommodation, free messing, LTC, CPF (as per New Pension Scheme),Gratuity and other perks as per Sainik Schools Society Rules and Regulations. should not be below 21 and above 35 yrs as on 01 Jan 2017. (c) Qualified CTET/STET (Preference for CTET). (ii) Proficiency in English language / Games, Sports & outdoor activities / Use of Computer and ICT in teaching. (iii) Talents in Music/ public speaking / fine arts etc. (vi) Minimum 2 to 3 yrs experience in an English Medium School. Candidates having less than 55% marks in their graduation for Sl (a) and (b) and 60% for Sl (c) need not apply. Candidates who are yet to be complete their degree need not apply. Application to be submitted in plain paper with passport size photograph giving full address and resume with contact number (Compulsory),along with attested copies of mark sheets, other testimonials, self addressed envelope (9”x 4”) and demand draft Rs. 500/- (non refundable) drawn in favour of “Principal, Sainik School, Goalpara” payable at State Bank of India, Mornoi (Code No. 9148). Last date of receipt of application is 11th September 2017. Only shortlisted applicants will be (intimated by phone/ email/ school website) called for selection process (Tentative last week of Sep 2017).